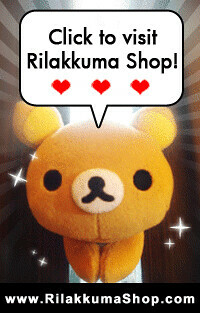 Rilakkuma Shop: Counting down to 2011 with Rilakkuma!!! Counting down to 2011 with Rilakkuma!!! We are one step closer to 2011!! Just one more day we will be waving goodbye to the good old 2010 and welcoming the brand new 2011! We hope to see more fun and excitement in the world of Rilakkuma awesome-ness (if there is such a word) and also to see the number of Rilakkuma fans increase over the wooooorld <3 in this coming new year. Now, for Rilakkuma Shop to show a token of appreciation, we came up with the lucky draw to bring 2010 to a lovely closure using the "2011 Limited Edition Rilakkuma Plush" as the prize. We hereby, would like to thank everyone who took the effort to participate in this event and fret not, there will be more to come in 2011. To make things short and sweet, we are ending this last post of 2010 to "show off" the actual peektures of the PRIZE. p.s: We did scream when we saw them sitting in the living room. Total cuteness. For details on how to take part, do refer to our previous post: Rilakkuma Shop Christmas Event! Hurry! They are sitting in our living room, waiting for chuuuuuuu.